The 5 Different Types of Headphones (generally). There are 5 distinct designs that we can differentiate. 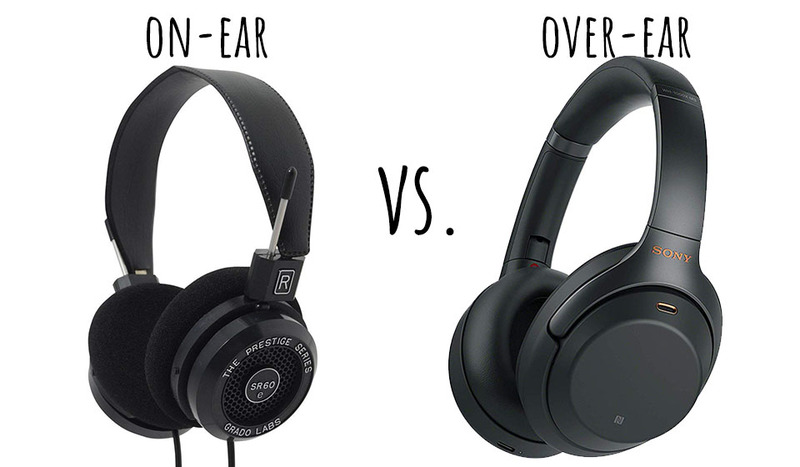 On-Ear vs. Over-Ear Headphones, What’s the Difference? Considered closed-back versions. Open-back would change the table. All of these have a different fit and design and usually have distinct performance. But, you can find high-end, quality models in each category. And generally, they don’t massively differentiate in terms of volume, response frequency, impedance, and bass response. Let’s start with the first ones, over-ear headphones. They are the biggest in size and probably the first idea that comes to your mind when you think about headphones. The reason they are called over-ear is because the earcups are big enough to cover your whole ears all around. Consequently, they’re also called around-the-ear headphones (or circumaural). Of course, understand that not all over-the-ear headphones are made the same and you can still find sports and portable over-ear headphones that come with a folding construction. Nonetheless, the general rules above apply to most. So, consider them when buying a new pair of headphones. What are the over-ear headphones best for? They’re the best when comfort and sound quality are crucial. This means for studio use and relaxing home listening. It’s when you don’t worry about portability, sweat protection, and bothering other people with sound leakage (especially true for open-back headphones, more on that below). 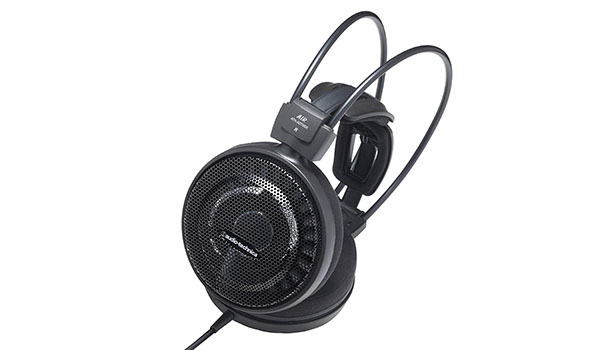 Most professional studio headphones have an over-ear design as well as cans for home listening and gaming headsets. The best-in-class comfort over long hours and an impeccable audio quality (if you pay for it) are the trademarks of this design. The go-to design when looking for a pair of headphones for general use. These are the go-to option for portable headphones (also called supra-aural headphones). You can see them worn by people on the streets, commute, and even in the hot, sweaty gyms. Their smaller size (ear cups) and weight make them easier to take with you. And, if you pick the right model, you can get a cool, status symbol item that looks and sounds great. These are the general rules that are true in most cases but not all. Before buying your pair of headphones research or test the model you’re looking well, so you know exactly what you’re getting. What are the on-ear headphones best for? Because they’re smaller than their bigger brothers (over-ear), they excel at uses that require portability and a stable fit suitable for exercise. You’ll often find them with traveling DJs that have to go from party to party a lot. Taking big over-ears just wouldn‘t make sense for them. You’ll also find them in the gym or on runner’s ears. They’re far better for sports while not irritating your ear canal which makes them popular with the fitness crowd. Additionally, you’ll find them with hipsters wearing vintage-looking on-ears because, well, they’re cool and easy to carry around. 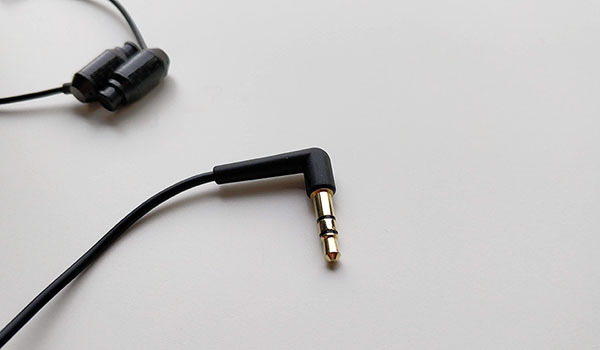 The smallest headphones often referred to as earbuds or buds. That’s technically not their real name. The proper name for in-ear headphones is in-ear monitors. But since most people know them as earbuds, we call them the same (it’s easier for people to find what they’re looking for). The reason why in-ear headphones are called that is because part of them goes inside your ears. Usually, a tube goes inside your ear canal to get the source of music as close to your eardrums as possible. It helps with noise isolation and sound quality. You can find them in wired and wireless options. The true wireless earbuds are especially popular today. What are the in-ear headphones best for? In-ear headphones or earbuds are the super portable models that are easy to carry around. You just put them in a pocket, and you’re good to go. Sure the cables often get damaged and the buds casing crushed by accident, but generally, fragile construction hasn’t diminished their popularity. They sound great, especially if you’re willing to pay a bit more money, and are comfortable and as reliable as the “proper” headphones. Plus, you can often get them cheaper which is probably the main reason for their popularity. You can use them for commuting, home listening, portable use, during a workout, and even learning. You’ve probably gotten a couple “throw-away” earbuds in museums or air flights yourself. They’re everywhere because they offer a lot of bang-for-buck. A versatile design that excels at almost everything (but does come with handicaps). Earphones or classic earbuds are the first versions of small buds that came with the popular Walkmans and iPods (if you’re old enough to remember). 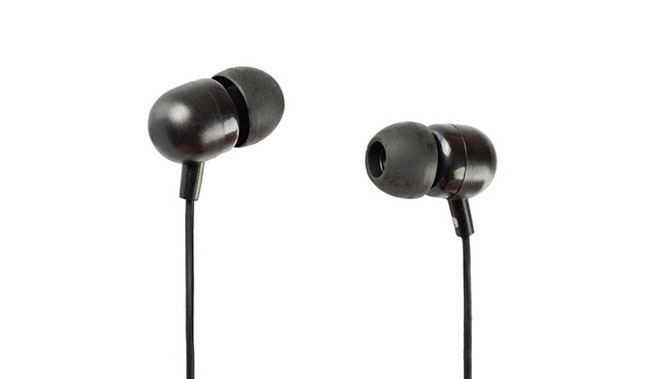 They are the classic earbuds that don’t go inside your ear but rest at the entrance. 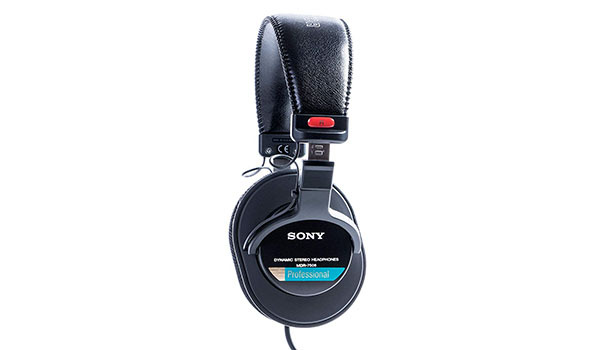 These are one of the older types of headphones. But you can still find them today. Though, the in-ear types beat them in popularity a while ago. Now, there’s still some confusion about the name. Since “earbuds” is the most technically correct name for them—yet most people understand it differently—it’s hard to decide what to call them. On our website, we call them classic earbuds because we think it’s a good compromise. Classic earbuds are a product of a bygone era, almost. Some brands still persist with this design, but you’ll usually find them to be cheaper and for very casual use. It’s nearly impossible to get a high-end classic earbud for an audiophile. 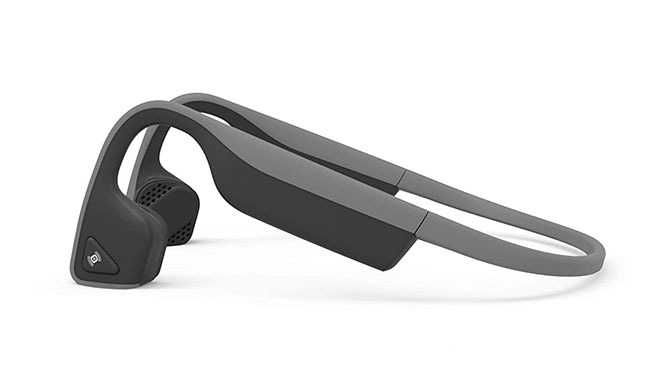 Nonetheless, they offer better situational awareness compared to in-ear headphones which comes handy for runners who need to stay safe on the streets or in nature. This is a relatively new style of headphones and has limited use, but it’s getting more popular. The main difference is bone conduction technology. While other headphones all transfer sound into your ears, bone conduction headphones use your bones. They “connect” to your skull and through vibrations send music to your eardrums. The sound quality isn’t fantastic but more than satisfactory. They’ve gotten really popular as workout headphones due to remarkable fit and water-resistance. If you can’t find a set of headphones that fits you properly, bone conducting headphones might be the solution. These are perfect for runners and other active people, but you can use them for everyday use as well. A lot of people want to know the difference between on-ear and over-ear headphones. So, here you’ll learn exactly that. On-ear headphones are smaller in size, their earcups cover the ears but don’t go around the ears. In contrast, the over-ear earcups cover whole ears from all sides. This makes on-ear headphones less comfortable when worn for hours. Over-ears offer whole-day comfort. But the smaller size often comes with a foldable design which makes them the superior portable headphones compared to over-ears. On-ears have worse passive noise isolation. They leak more sound, so you’ll bother others with your music, and you’ll hear more traffic noise when in the city. Generally, on-ear headphones are better for working out. You’ll often find sweatproof models with a stable fit for that purpose specifically. The audio quality is pretty much the same. You can get closed-back and open-back models with different sound signatures. No major difference here. There are 2 types of connection: wired and wireless (most often Bluetooth). These are the standard headphones that came out first and come with a cable. It’s old but reliable technology. 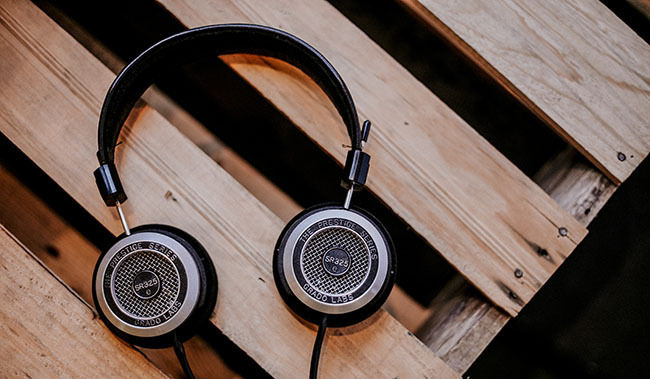 Most common wired connection is the 3.5mm AUX plug, also known as “the headphone jack.” It connects to most laptops, smartphones (those that have the AUX plug), MP3 players, radios, tablets, and other audio devices. 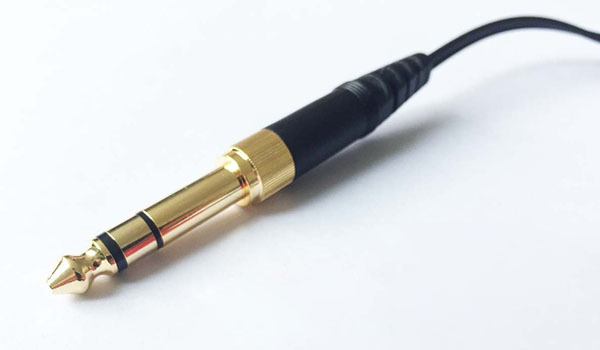 Another connector that’s widely used is slightly bigger and more common for high-end and professional headphones. It’s the 6.3mm plug, and it connects to amplifiers and better audio systems. Keep in mind you can always get a 3.5mm to 6.3mm (and the other way around) adapter if needed. Now, the above are analog connections, but some headphones use a digital connection (though extremely rare). Optical cable has many uses and in some cases is used to connect headphones as well. Though, the technology isn’t very popular with standard headphones. 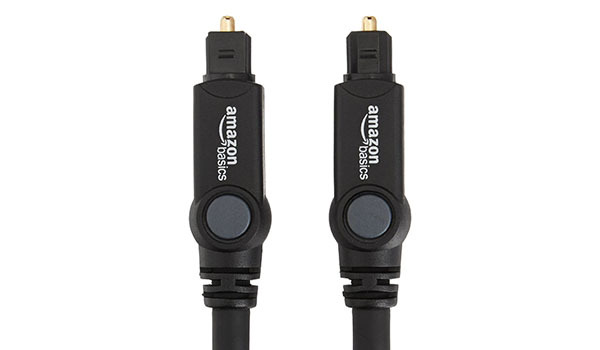 In fact, most wireless headphones for TV offer the option to connect the base station with an optical cable. So, probably no wired headphones use the optical cable to connect directly. Wireless headphones have recently become very popular. With the newest versions of Bluetooth and fast, quality codecs they’re better than ever. Wireless is the future of headphones (at least for an average user). And, while wireless technology brings many advantages, there’s one more thing to worry about, and that’s battery life. More things that need charging is just more hassle. Thankfully, battery capacities are getting better every year. 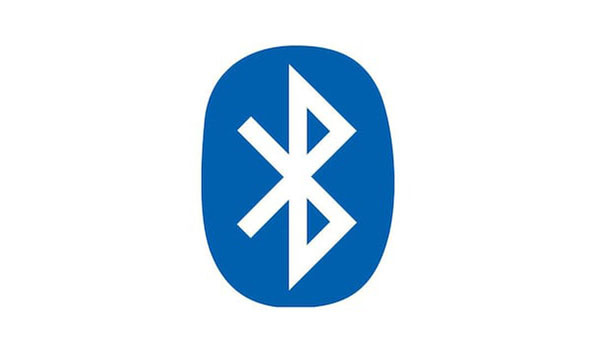 While there are many wireless technologies, the most common is Bluetooth. Bluetooth is widely used, supported by many devices and keeps getting better every year. While Bluetooth headphones used to sound noticeably worse and had a poor connection with horrible latency, this is changing now. The latest Bluetooth codes offer excellent sound quality and low latency so you can enjoy your music and movies in (almost) the same quality. Not all headphones use Bluetooth. Wireless gaming headsets most often use a proprietary wireless technology that’s based on radio technology. The reason is that radio frequencies (most common in gaming headsets is 2.4 GHz) are better at penetrating walls and floors than Bluetooth which is, honestly, horrible. And, in gaming headphones, a good connection through walls and other solid objects is vital for good user experience—since most people game at home. Another differentiation you can make about headphones is their back design. Basically, are the drivers inside the headphones open to air or closed and isolated with materials, like plastics? The closed-back design is the most common and offers better passive noise isolation. The drivers are enclosed inside the casing, and that changes the sound quality and blocks the unwanted background noise. 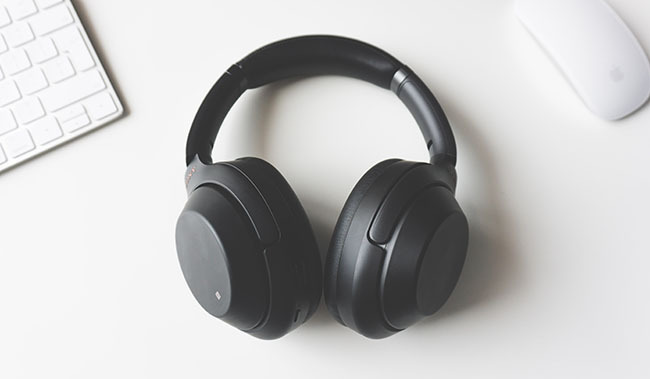 Closed-back headphones are better for uses where you want to keep your music private and don’t want to bother other people with sound leakage. This is cases like commuting, working out in the gym, office use, or just normal home listening. On the other hand, open-back headphones are the exact opposite. Open-back headphones are, like the name suggests, open in the back. There’s no enclosure of the drivers so the sounds can go in and out unobstructed. It changes the audio quality. It makes for better soundstage which is the spatial feeling you get about the space the sound is coming from. It gives a better impression and awareness of the direction of music. Basically, makes it easier to imagine you’re right at the concert hall—or studio—listening to the music live. Additionally, the open-back lets in more ambient noise and leaks more sound which is bad for noise isolation and privacy but good for situational awareness. If you need to hear sounds from the environment, like on the run in a city, this is very helpful. You can’t say one design is better than the other in general because both have their pros and cons. Soundstage, positional accuracy of the sound (which is better sound quality) is better with open-back headphones. 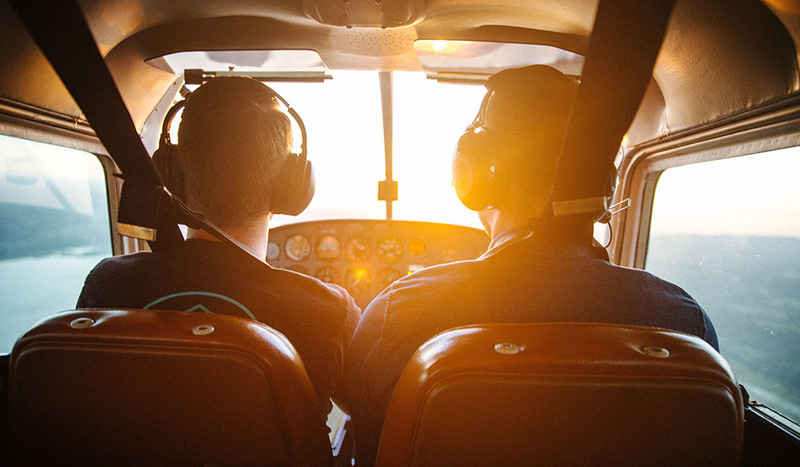 Awareness, hearing the background noise so you can react to a possible danger is also better with open headphones. On the other hand, noise isolation and block the noise is better with closed-back headphones. Also, the sound leakage is minimal with closed headphones so you can keep your music private. Know your own needs and make a better decision so your new pair of headphones do exactly what you want. Also, you can make another distinction. Noise-cancelling headphones are very popular for air travel. You’ve probably heard about the active noise cancelling headphones. They use multiple microphones to pick up noise around you and send it to electronic circuitry and send it back to your ears with the power of cancellation. On the other hand, passive noise isolation just tells you how well headphones block ambient noise physically. Thank you for checking our guide. Did you find it useful? What are you favorite kinds of headphones? Let us know in the comments below.